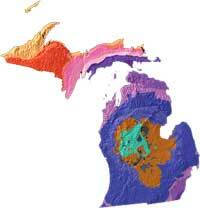 Michigan geology and topography map from USGS: A Tapestry of Time and Terrain. 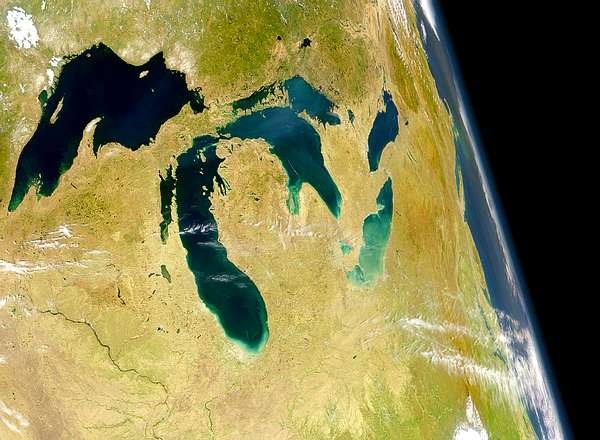 The state of Michigan, USA (public domain image). 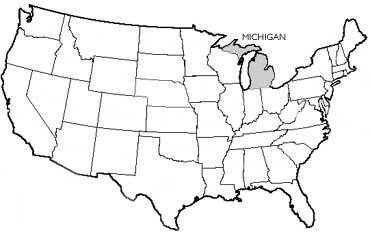 Add Media for Origin of "Michigan"